A close up from question 2: In which garden does this sleeping beauty, the ‘sleeping giant’ lie? Occasionally I come across an image in my photo library and think, ‘that would make a good picture for a quiz! I wonder how many people would know where it was taken…’. 1. 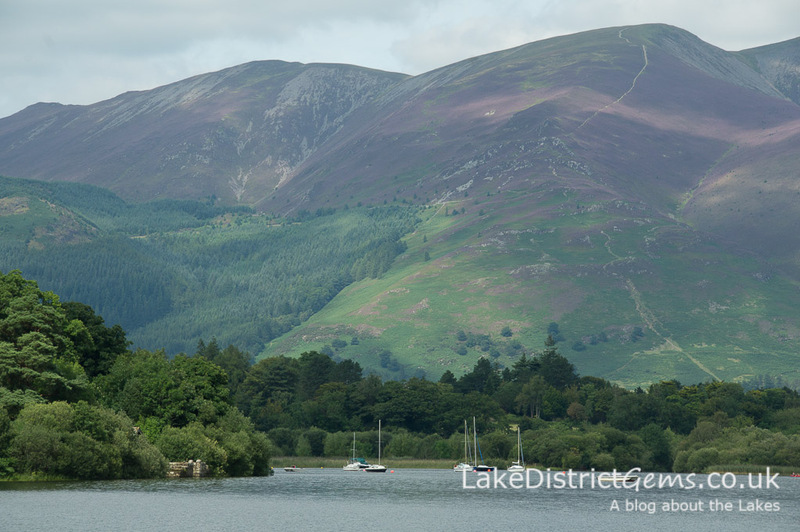 In which Lake District garden would you find a bench with a view like this? 2. 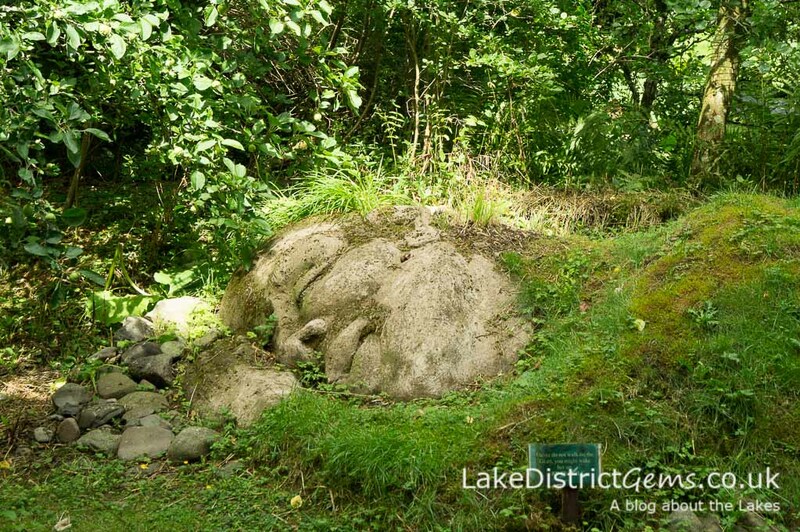 In which Lake District garden does this sleeping beauty, the ‘sleeping giant’ snooze? 3. If I could see this lovely view, where would I be standing? 4. This squirrel sits on a well-known road passing through the south of the Lake District. Can you remember where he is? 5. 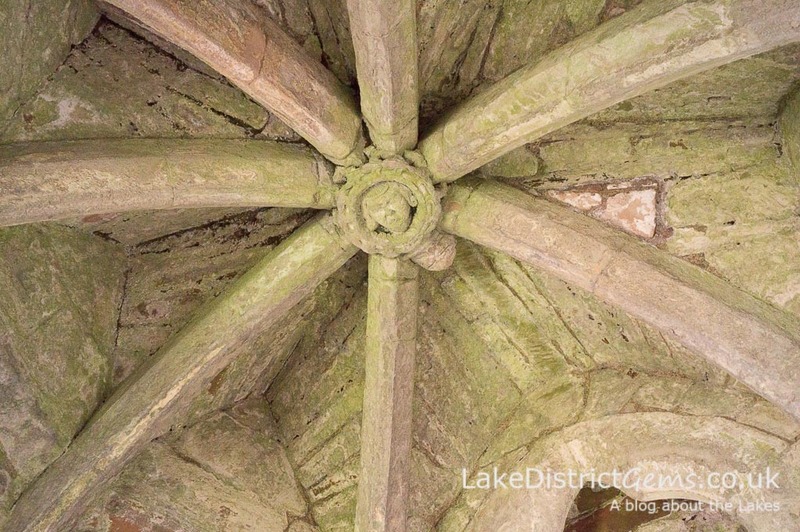 This carved stone ceiling belongs to which historic Cumbrian site? 6. 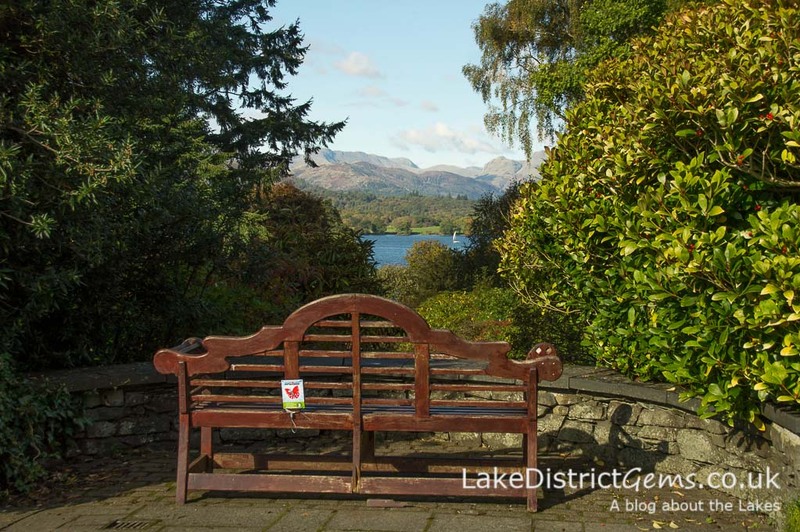 This is certainly a bench with a view, but at which Lake District attraction will you find it? 7. I’m standing on a jetty to take this photo, but on which lake? 8. Where will you find this delightful little chapel, which is open to the public on selected charity days? 9. 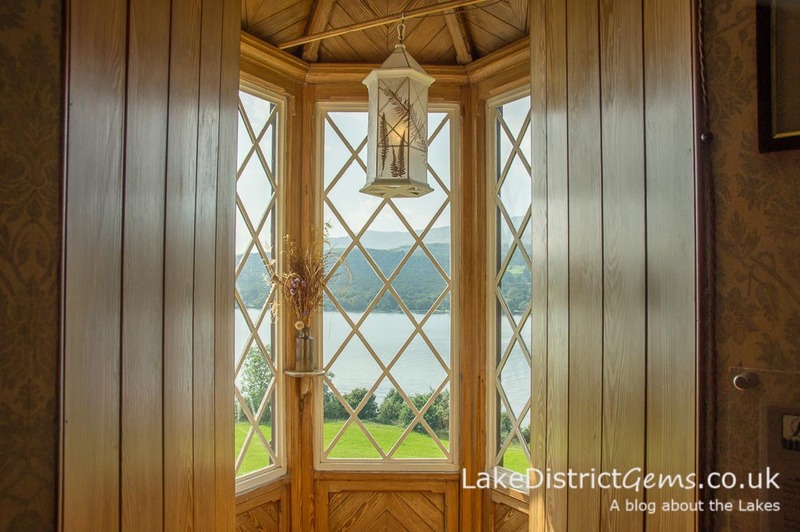 At which Lake District residence would you come across this beautiful turret? 10. 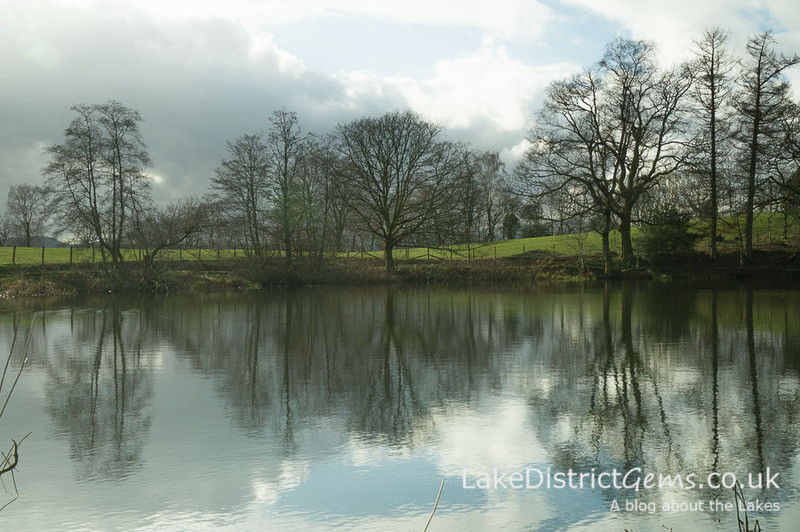 In which Lakeland garden will you find this enormous tarn? 12. In the grounds of which estate will you find this adorable historic viewing station? The Stagshaw Garden is a natural woodland garden owned by the National Trust, and looks at its best in spring when its collections of azaleas, rhododendrons and camellias are in bloom. You can read more about the Stagshaw Garden in a post I wrote earlier this year. You can read more about my visit to the viewing station and the Café in the Courtyard, and the many great options for getting there (walk, boat, ferry), in my post about Claife Viewing Station. 6. 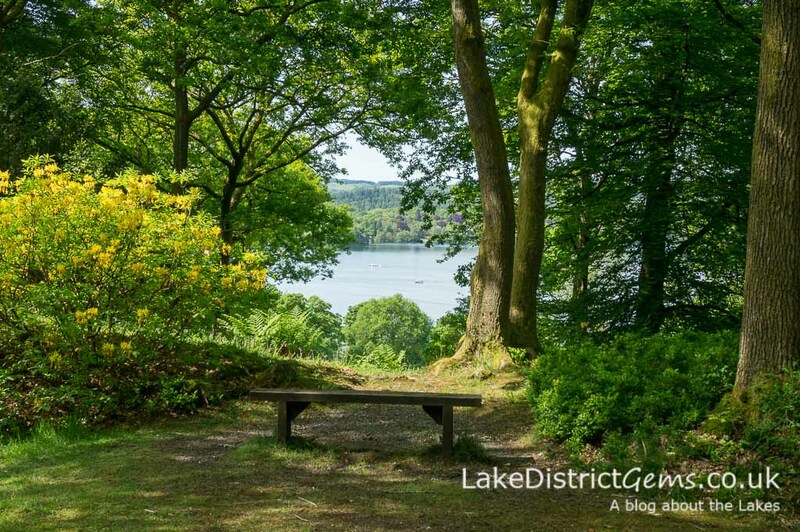 This bench can be found along from the café at Brockhole on Windermere – be warned though, you’re in the territory of an enormous robin who’ll keep his eye on you for titbits! 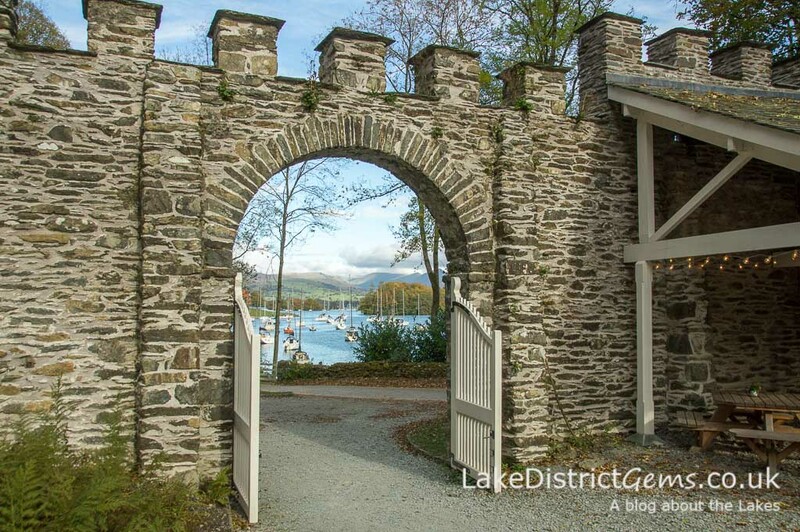 The Lingholm Kitchen and Walled Garden is one of the newest places to visit in the Lake District, opening in the summer of 2016. It looked great when I visited, and I’d highly recommend the food there – take a look in my post written shortly after the Lingholm Kitchen opened. 8. This gorgeous little chapel belongs to the owners of Larch Cottage Nurseries at Melkinthorpe, just south of Penrith. It is situated in the owners’ private gardens, which open to the public on selected dates to raise money for charity – see the Larch Cottage Nurseries website for upcoming openings. 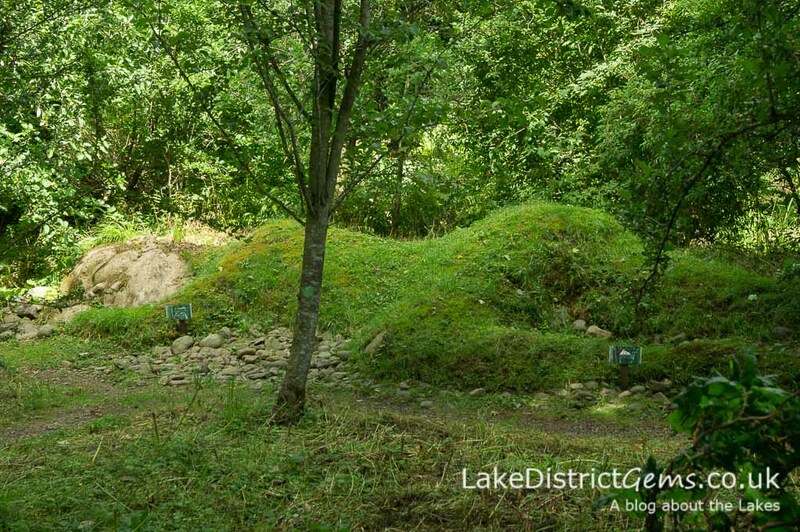 Visit my blog post about Brantwood and its gardens, which I visited on one of the hottest days this summer! 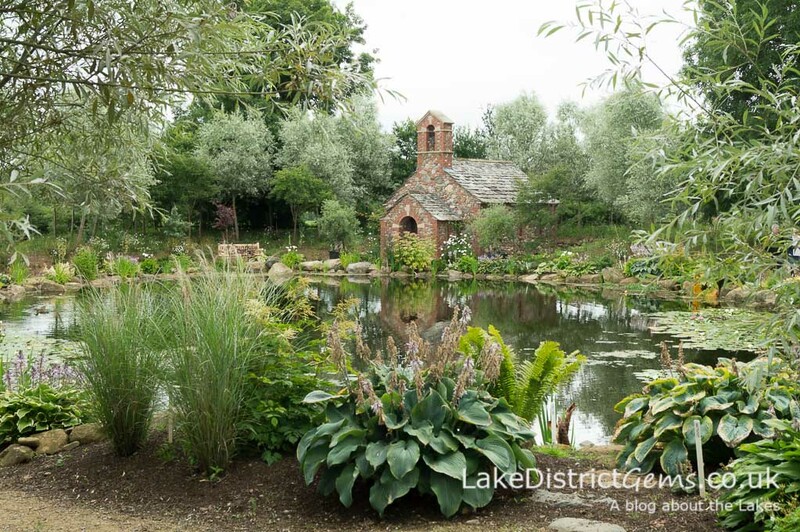 I’m always amazed by how few people have heard of this garden, so it’s a true ‘hidden gem’ – you can see the spectacular range of planting on show here in my post about Holehird Gardens. 11. 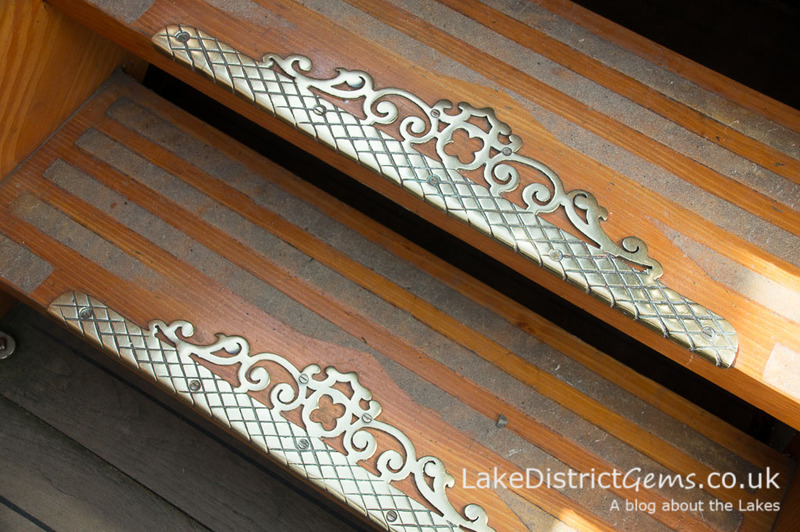 These steps can be found on the National Trust’s Steam Yacht Gondola, which is why they’re never in the same place for long! 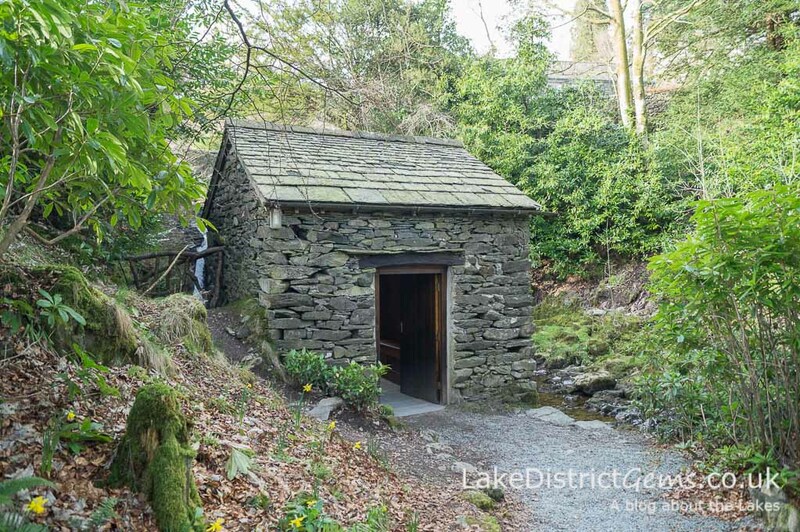 The Grot is just one of several ‘hidden gems’ to be found in the grounds of Rydal Hall. So how did you do? Did I make it too easy or too difficult? Let me know in the comments below! Hmm, it’s surprisingly hard putting together a quiz… are the answers really obvious or difficult?! I really don’t know! Thanks very much for commenting Dayve – it’s great to hear you liked the quiz! It’s attracted some positive comments on social media too, so I might try to put another one together in January when we all need a bit of cheering up post-holidays! please can you tell me who carved the lovely wooden squirrel? Hi Jill, I’m sorry but I don’t know. Perhaps the Langdale Chase Hotel could help if you asked them. 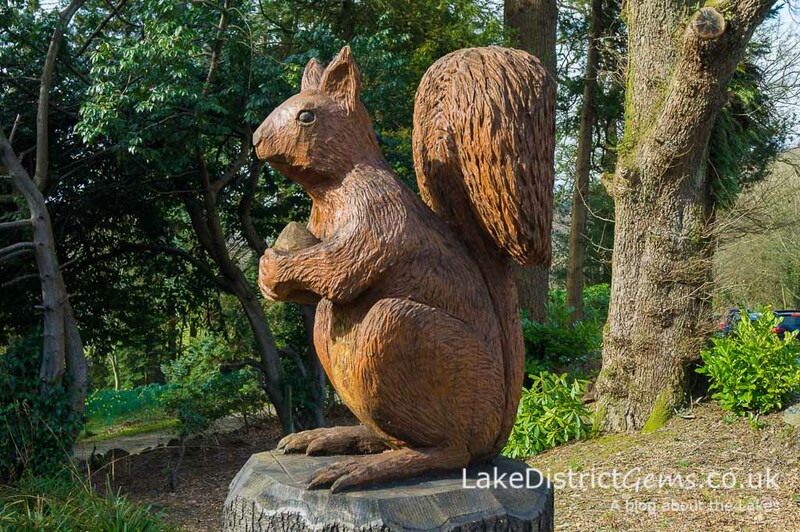 There are some lovely carvings around the area – there’s a smaller squirrel in Hope Park in Keswick, and a large stag has recently appeared outside Grasmere Garden Village too!